King Pudgy is elevating his threat to punish the United States with a nuclear strike on Guam by “mid-August,” which is five days away. Tough decision. If it were mine to make, I think I would proceed with the plan to neutralize North Korea’s offensive capability as soon as practicable, depose Kim Jong-un, and reunite the Korean peninsula. Locked in a battle of brinkmanship and bluster with President Donald Trump, North Korea has now attached a date to its threats to attack the Pacific island of Guam, reports Western Journalism. Guam, a U.S. territory, is home to a massive American military installation and more than 160,000 civilians. “North Korean state media reports plan to launch four missiles at Guam to be developed by mid-August before it is presented to Kim Jong Un,” Britain’s Sky News tweeted late Wednesday. A North Korean statement issued Wednesday U.S. time, and Thursday Korean time, explained the plan further. 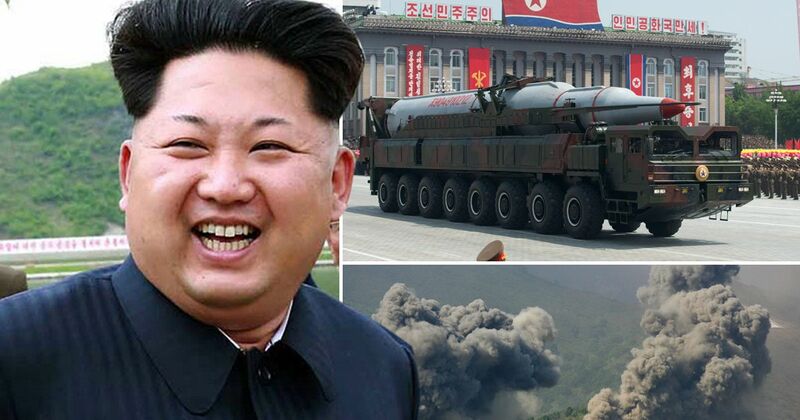 “The Hwasong-12 rockets to be launched by the KPA (Korean People’s Army) will cross the sky above Shimane, Hiroshima and Koichi Prefectures of Japan,” the report said, citing General Kim Rak Gyom, commander of the Strategic Force of the KPA. “They will fly 3,356.7 km (2,085.8 miles) for 1,065 seconds and hit the waters 30 to 40 km away from Guam,” the report said. The report came one day after North Korea made its initial threat against Guam in response to an unscripted remark by Trump that North Korea would face “fire and fury like the world has never seen” if it makes more threats against the United States. Guam replied with defiance to North Korea’s statements. Guam Homeland Security Adviser George Charfauros said the island can defend itself. “They’ve slowly developed their capabilities but we stand in high confidence with the U.S. (Defense Department’s) ability to not only defend Guam and the surrounding areas but also the continental U.S. … There are several layers of ballistic missile defense,” he said. “We always maintain a high state of readiness and have the capabilities to counter any threat, to include those from North Korea,” Lt. Col. Christopher Logan, a Pentagon spokesman told Business Insider.